So here we have it, the World Cup has finally kicked off, and we are set for a truly colourful and imaginative tournament. The very essence of football is bound up in the identity of Brazilians, the world over, and the nation is set to be captivated by this year’s events. Romero Britto, a Brazilian artist, who had been interviewed in June 2012 by Fifa.com once said of the impact that football has in Brazil: “Brazilians are connected through football. It brings joy and happiness to the people watching the game. So many kids, when they see their hero playing, they get inspired, it makes them dream about success, helps them set goals”. Indeed, football seems to have this uniting force in Brazil, whereby people from all walks of life can share the euphoria of this great sport. The arts have long been celebrated in Brazil, with music and poetry adding a wonderful and illuminating flavour to the mix. David Goldblatt, of The Telegraph newspaper, has widely acknowledged that both the 1958 and 1962 World Cups were key turning points in the history of Brazilian football, with music and art both playing key roles in Brazilian culture: “The range of performers, composers and genres drew on the rich brew of contemporary Brazilian music, and they expressed a confidence hitherto rare in Brazilian culture”. It is in this way that the Brazilian ‘style of play’ is often eluded to, as if it were a samba dance, in the way that their players shift gracefully across the pitch. 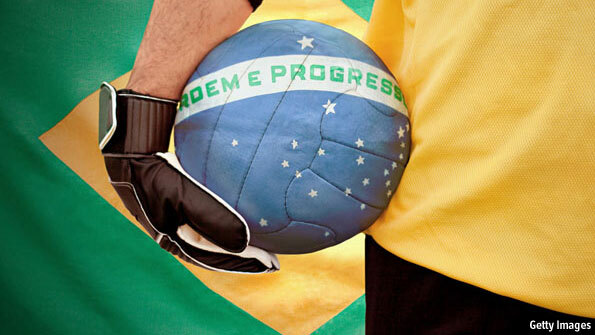 Football in Brazil is much more than just a sport, it is a way of life. In many ways, if Brazil were to win the Word Cup on home soil, it would be a fitting tribute to a nation that lives and breathes all things football. What does Brazilian culture mean to you? Is football much more than just a sport?